Q- What are your minimum rental qualifications? Q- How else will my credit affect my ability to rent from you? A- We understand that everyone slips up sometimes. So even if you have had a bankruptcy, foreclosure, divorce, or various other credit situations, we will still try to work with you. Other things that will be taken into consideration are ownership history, past landlord references, your income, time on the job, any savings, etc. Open collections (other than medical or student loans) will work against you. Some high risk applicants may be asked for a co-signer, or double deposit. Q- How much is the security deposit? A- Normally, security deposits are equal to one month's rent, but can vary from property to property. Some high risk Tenants are asked to pay a double deposit. Q- How can I apply? A- Our online rental application is available on our website www.TBRHomes.com/ForRent . There is a $50 per adult non-refundable application processing fee, which may be paid online through our application link. A- All non-dependent adults living in the home must apply separately. Q- What if I am applying with another person? Will that hurt or help me? A- Co-applicants are approved or declined based on average scores, according to our approval matrix. While the strength of a highly qualified co-applicant can elevate the score of the group, it should be noted that the low scores of a co-applicant can result in a denial. 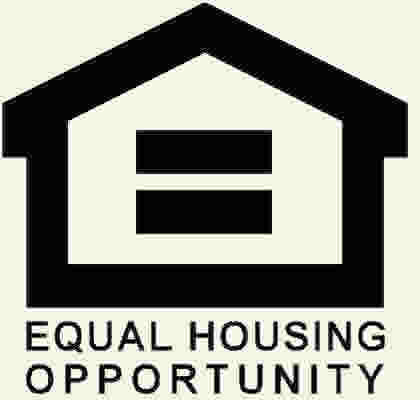 If any of the co-applicants is disqualified due to criminal history, previous eviction, or any other declining factor, all co-applicants will be denied. If a group of co- applicants is denied, we will not consider the remainder of the group without the declined co-applicant. Q- When and how must I pay the application fee/ deposit/ rent/ other payments? One full month’s rent must be paid upon lease signing. This must be paid by certified funds (cashier’s check or money order). Security deposit, including pet deposit and additional deposits required, must be paid in full before we can provide you with keys. Deposits cannot be broken up into multiple payments. Q- Is the application fee refundable? A- Sorry, no. The application fee partially defrays the cost of administrative paperwork. Therefore, it is nonrefundable. Q- What information do you need in order to process my application? We generally require that you've viewed the property prior to processing. Q- When will my application be processed? A- Applications are processed in first-come, first-served order, unless there are simultaneous submissions. We strive to fully process all applications in a timely manner. Most often, the process is completed within 2 business days. Sometimes, the process is slowed or delayed by waiting for additional documentation from an applicant, previous landlord, or employer. We will notify you (or one of you if there are co-applicants) by phone or email as soon as we have made our final determination. Q- What if there are multiple applications on this home? A- Simultaneous submission is considered when we have not begun processing an application and receive another within 8 hours. We log income, length of time on the job, savings, rental history, and terms such as requested length of lease and pets into our matrix scoring system and compare those scores to other applications received. We process the application with the most favorable terms and score first and place all others into backup position based upon their scores. We notify backups when they will be held in backup position. Applicants who are placed into a backup position will be entitled to a refund of their application fee if their application is not further processed. Q- What is the rental time-line? We require additional documentation within 24 hours of sending the request to you. After notifying you of application approval, we require the scheduling of a leasing appointment within 24 hours. After notifying you of application approval, we require that the lease be signed by all co-applicants within 3 days. The lease must begin within 30 days of signing, unless the date we offer the home for rent is more than 30 days out. If a deadline falls on a Sunday or a state or federal holiday, the deadline will be extended to the end of the next day. A- This will vary from one home to the next. Your leasing representative will have that information for you. If pets are allowed, there is a strict maximum of 2 pets, and all must be over 1 year old. Check with your leasing representative to make sure you understand any weight or breed restrictions. Click here to check the restricted dog breed list. There is an additional required pet deposit of $400 due by move in day. This deposit is refundable. Unauthorized pets will result in a $100 per animal, per day fine. New or replacement pets are not permitted after move in. This does not apply to small, caged rodents, reptiles, or fish.